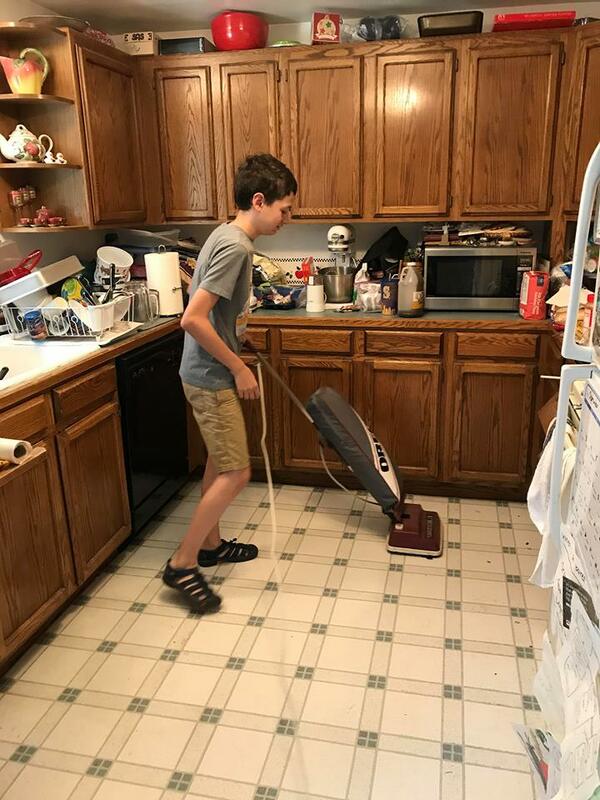 Right before school started, I introduced Tad to the concept of actually doing a chore so he could earn something fun. In this case, he wanted to watch something non-music related (I was letting Thumper watch one of his favorite orchestra concerts off YouTube, and Tad was tired of it). Then I handed him a container of Clorox wipes, and he got down to the floor to put a little elbow grease in. And guess what? HE SURVIVED. And then he watched some “Batman: The Animated Series,” which made him happy. 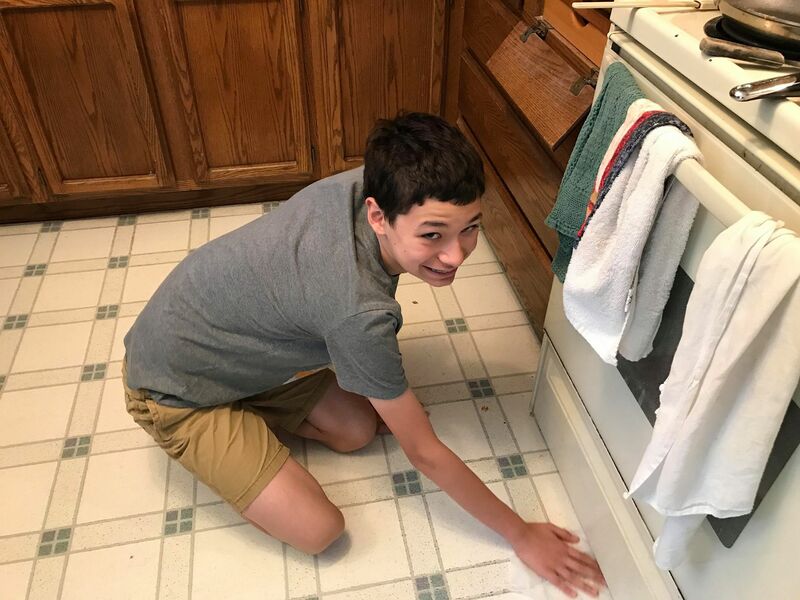 Guess what his new weekly chore is now? This entry was posted on Thursday, September 13th, 2018 at 3:51 pm	and is filed under Children.